The blockbusting and color-matching excitement of the mega-hit COLLAPSE! 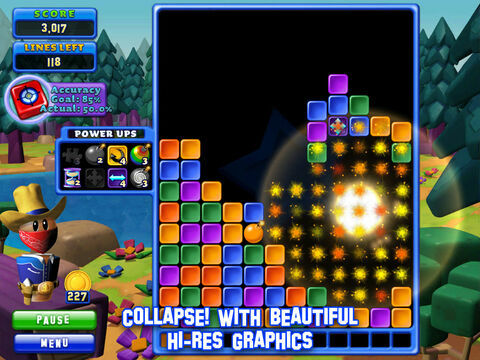 arrives for the iPad, with gorgeous graphics, custom characters and fantastic foes! 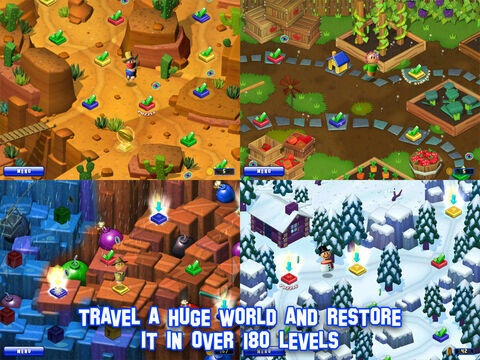 Take on the heroic challenge of freeing and restoring beautiful lands from strange invaders! 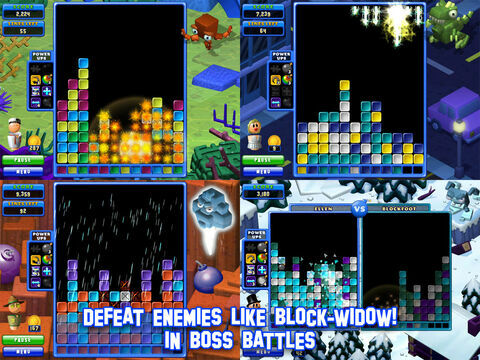 Travel a huge world with over 180 invigorating levels and go up against mighty enemies like Blockzilla, Block Widow and Blocktopus using your own customizable character. 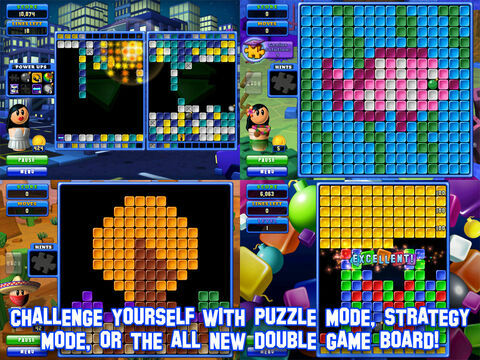 Play challenging variations such as Classic, Puzzle, Strategy, and the all-new double game board mode, where you play two game boards simultaneously! Use explosive power-ups, earn money for powerful upgrades, and win special character costumes for extra fun. 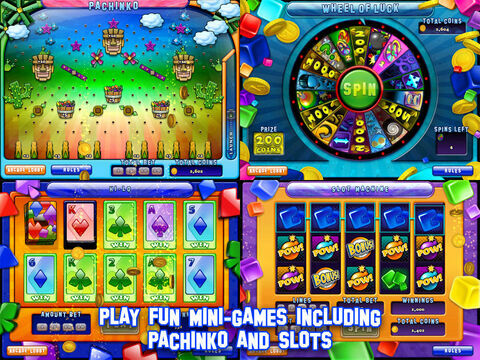 You can also enjoy four rewarding mini-games like Pachinko and Slots. Keep track of your scores with your friends on Game Center. We take pride in the loyalty and trust our customers show us when they purchase a GameHouse product. If you are not completely satisfied with your recent purchase, please contact us at iphone-games@real.com.